Please enjoy our latest newsletter! This one of a kind 5 ft. x 7½ ft. T-shirt quilt could be yours! 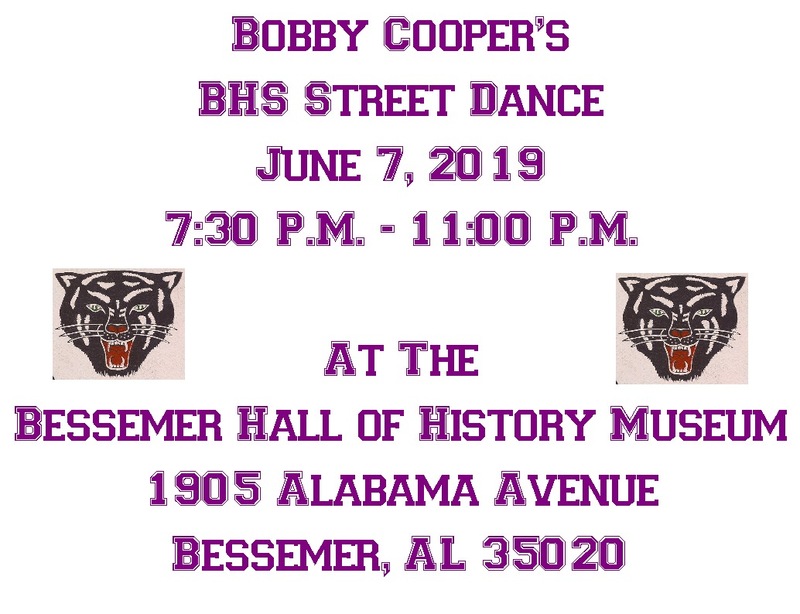 Tickets are available now for purchase at the Bessemer Hall of History Museum. You may also purchase tickets at the FOLK FAIR both Friday, May 3rd & Saturday, May 4th . Ticket prices: $5.00 each or 3 for $10.00. All proceeds go to the Bessemer Hall of History Museum. 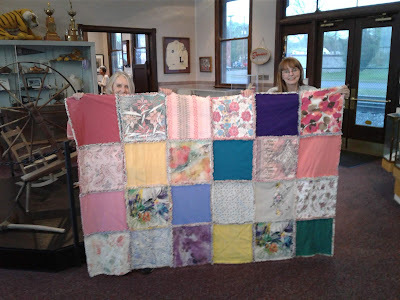 A special “thank you” to Jean Blackwell Woods who made and donated the quilt. The Bessemer Hall of History is open Tuesday – Saturday from 9:00 a.m. until 3:00 p.m. and offers something for everyone. 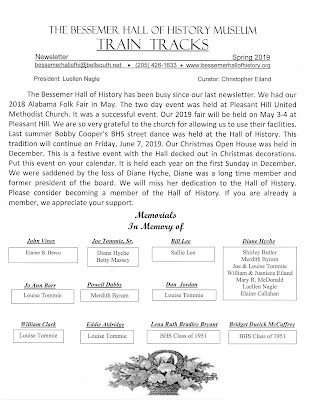 Plan to visit the Hall soon to “relive” the history of the area through photographs, machinery, books and many other artifacts. 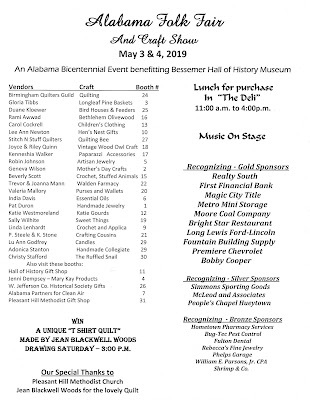 Special exhibits and events are planned throughout the year; call (205) 426-1633 for up-to-date information. For group tours please contact us to schedule a date and time.